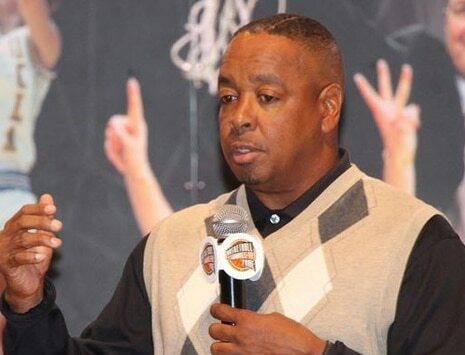 Prior to his days in the broadcast booth, the New Orleans, LA native served as the head men’s basketball coach at his alma mater, the University of Houston. In 2004, Drexler’s outstanding basketball resume led him to enshrinement into the Naismith Memorial Basketball Hall of Fame. The 10-time NBA All-Star was selected as one of the NBA’s 50 Greatest Players in 1996. Drexler helped lead the Houston Rockets to an NBA Championship in 1995 over the Orlando Magic. “The Glide” was drafted by the Portland Trail Blazers as the 14th pick in 1983 NBA Draft and concluded his career with the Houston Rockets. The 10-time NBA All-Star is one of three players in NBA history to top 20,000 career points, 6,000 rebounds and 6,000 assists. His #22 was later retired by both the Trail Blazers and Rockets. Drexler was a member of the gold medal winning “Dream Team” at the 1992 Olympics in Barcelona. During eight games played in the international tournament, he averaged 10.5 points per game, 3.0 rebounds per game and 3.6 assists per game. 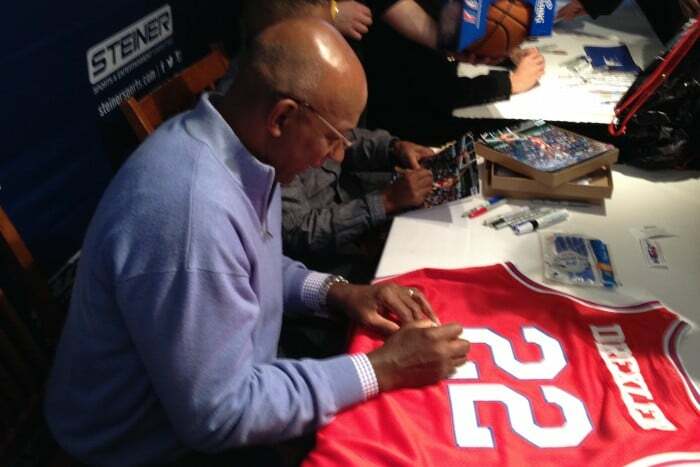 As a member of the renowned “Phi Slamma Jamma” at the University of Houston, Drexler helped lead the program to two straight NCAA Final Four appearances (1982 and 1983). Following his junior year, he was named a first-team NCAA All-American and Southwest Conference Player of the Year. The University of Houston retired his number in 1997. In 1995, Drexler honored the city of Houston by establishing the Drexler Foundation, helping to fight illiteracy in the city where he played his collegiate career and delivered an NBA title. In 2004, Drexler wrote his biography Clyde The Glide along with co-author Kerry Eggers of the Portland Tribune.